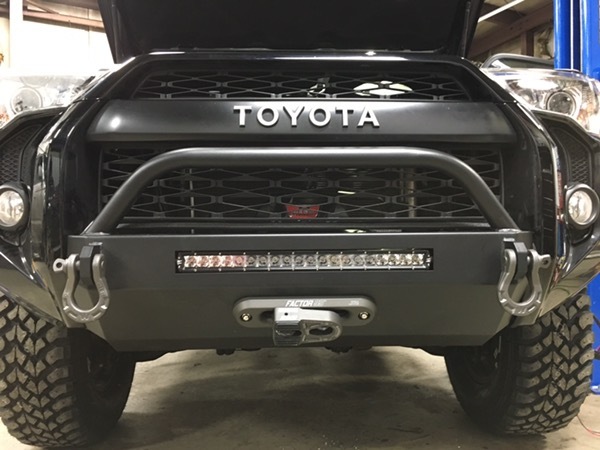 The Southern Style Speed front slimline hybrid is an affordable option to mount a winch and light bar to the front bumper of your 5th Gen Toyota 4Runner. The factory bumper is trimmed and reused and this beast of a mount attaches to the frame with 10 fasteners and has brackets to support the trimmed plastic OE piece that remains. It offers a great look at an affordable price. Check out Southern Style Speed and get yours installed at Rock Your 4×4.